This is a subject that has much discussion and the root problem is that everyone claims that they are from Ahl Al-Sunnah wa Al-Jammah. Yet, some have no right to use this at all. Ahl Al-Sunnah means the people of the Sunnah and this differentiates from all other sects in Islam. Namely not the Shia, Khawarij, Mutazilites etc. Al-Jammah means the majority. Therefore, the term means the people of the Sunnah and majority. Sunnah is reference to the prophetic practice. Majority mean adhering to the opinions of the majority of scholars. This term is often misused by speakers and lecturers. In some geographical regions, the writing is joined together. I saw the above written on a masjid banner. It seemed very strange that they had taken this term and changed it. There are different groups who have taken this term and re-arranged. I do not accept it when people claim that this is the opinion of Ahl Al-Sunnah and it should be accepted, when they give an isolated opinion of one scholar. They should prove their point with more than once source from the majority of scholars and not opinions from a specific geographical regions. One group of geographic scholars are not Ahl Al-Sunnah wa Al-Jammah; for that to be true then there must be all scholars from all madhabs present where there is agreement. Rather than six teachers in a room who all agree with each other because they have the same grand teacher. There are different reports about who was the first to use this term. There are reports that this could be a term used by the companions. This first time this term was used was by Ibn 'Abbas (may Allah be pleased with him) which is textually sourced in the Quranic commentary of Ibn Kathir. Now the strange thing about this report is that it is not in Ibn 'Abbas's own commentary of the Quran. Ibn 'Abbas said, "This is when the faces of the Ahl Al-Sunnah wa Al-Jammah adherents are brightened and the faces of the people of innovation and (other) sects are darkened." Tafsir Ibn Kathir Vol 1 p.381. In addition, the other textual reference is in the Aquida Al-Tahawiyyah of Imam Al-Tahawi (may Allah show him mercy). "This is a reminder of the clarification of the belief of the people of the Sunnah and the majority." Then he mentions that this is according to Abu Hanifah (may Allah show him mercy) and some of his students. Therefore, this gives us an indication that this term was used by Abu Hanifah and those before him. If it came from his teachers then it must have come from Abdullah ibn Mas'ud (may Allah be pleased with him). I cannot confirm this but I have a strong inclination that the companions used this term to differentiate themselves from Khawarij and Shia. However, at this time the Shia or the party of Ali was a political group in favour of his leadership. It was not until later did they break from the main Sunni group. "The majority is what agrees with the truth even if there is but one." Al-Tirmidhi. "Most of the people have left the majority. The majority is what concurs to the obedience of Allah Almighty and Exalted." Here Ibn Mas'ud (may Allah be pleased with him) is speaking about the majority or what could be said to be Sawad al-'Azam. If it agrees to the truth then it is the opinion of the majority. This is where the term majority is sourced, the Sunnah itself. It is not a new term and it was a term used by the companions. Al-Hafiz Al-Suyuti mentioned in his book Al-Amr Biltiba' wa Al-Nahi 'an Ibita'/the command of fellowship and prohibition of innovation the following addition, "Satan is with he who opposes the majority." "The support of Allah is with the majority. So whoever deviates from them falls prey to Satan as a wolf prey on a sheep away from the flock." "Two are better than one, three are better than two, four are better than three. Adhere to the majority because Allah does not make a consensus in my nation except it is guidance." Imam Maydani (may Allah show him mercy) said in his commentary of Aquida Al-Tahawiyyah p.44, "Ahl Al-Sunnah means [adherence] to life and Muhammadan path. Al-Jammah from [the time] of the companions and the successors then those who follow them..."
"Al-Najam Al-Gazi in Hassan al-Tanbih fi al-Tashbih said, "The meaning of path of the Ahl Al-Sunnah wa Al-Jammah is what the Prophet (may Allah bestow peace and blessings upon him) was on [belief] and the honoured companions. It is a proof of the prevailing majority/Sawad al-'Azam of the Muslims [the scholars] in every time. They are the majority and the group manifest on the truth." There are a few points that mentioned here that need to be highlighted. 1. The people of the truth have existed from the time of companions and will last until the day of judgement. 2. The majority of scholars/Sawad al-'Azam is also an important point. No other groups have this claim like the four madhabs and the two in belief (Ash'ari and Maturdi). The vast majority of scholars fall into these categories even though groups outside this may protest. This is historical fact and nothing to be shyed away from. This is the truth and do not bother with anything else. 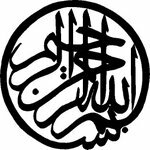 So the majority of scholars of Islam in history are Hanafi, Shafi, Hanbali and Maliki - they are the Sawad al-'Azam, the prevailing majority. Therefore, if your group does not fit into this then you are following a group outside the Sawad al-Azam or the majority. "Allah will not allow my nation to agree to misguidance." Al-Tirmidhi. Therefore, if all the classical scholars agree or the majority of the scholars belonging to the four madhabs agree then it is truth. "The Majority are not ignorance of the meanings of the book of Allah [the Quran], the Sunnah and not analogical reasoning. The only in the sects is there ignorance." "We do not oppose the majority of Muslims." The Sawad al-'Azam is the Ahl Al-Sunnah wa Al-Jammah because Allah the Exalted has protected this nation from accepting misguidance." Who is the Ummah of the Messenger of Allah (may Allah bestow peace and blessings upon him)? This is a question that has many facets. There are two main points here. 1. Those who have accepted [or received] the message and 2. Those who have not had the message. Shifah Al-Kubra/the grand intercession, on the day of judgement, is when the Messenger of Allah (may Allah bestow peace and blessings upon him) intercedes for humankind and he says, 'my nation, my nation.' Is this just for the Muslim? When the Messenger of Allah (may Allah bestow peace and blessings upon him) requested permission to intercede every human and jinn were taken from horror of waiting for judgement. The non-Muslims and Muslims benefit. Had the intercession been just for the Muslims then there would be a specification but his intercession benefits all. This gives us an indication the non-Muslims are part of the nation, in terms of receiving the message. Though they will not receive the specific intercession that is only for the Muslims. So the Muslims accepted the message thus took the true benefit of the intercession that others will not get. Everyone from the time of the Messenger of Allah (may Allah bestow peace and blessings upon him) until the end of time will receive mercy by two ways. One, in the world by not being punished like other nations. The people of Lut, Salih, and so forth were destroyed once they rejected the message of the prophets sent to them. This nation is not to be punished similarly but they will be punished in other ways like tribulations and so forth. Each 'natural' disaster is a manner in which other nations were destroyed. One nation was destroyed with an earthquake, flood, and so on. May Allah forgive us. Two by the grand intercession of the Prophet (may Allah bestow peace and blessings upon him). 73 sects? Who is the saved sect then? Let us now look at this important question. For the reason being, that everyone claims to be the 'saved' sect. Here are the hadith were this is sourced. "From my nation will come people who follow their passions as a dog follows its owner; there is no vein or joint except it (passions) enters it." "Except those before you of the people of the book who separated into seventy two sects, this nation will separate into seventy three; seventy two are for the fire and one is for paradise; this is the majority." Now there are two points here that need to be understood properly. That if we had similar belief to the points mentioned in the hadith then we would be saved. We have previously understood that all jinn and mankind are part of his nation. So the two points mentioned in hadith are: 1. Who are the Majority are and 2. What was believed by the Messenger of Allah (may Allah bestow peace and blessings upon him) and his companions. “Say: ’O mankind, I am the Messenger of God to you all"
If we understand this ayah with this hadith then we come to the conclusion that the entirety of mankind belong the nation of the Prophet (may Allah bestow peace and blessings upon him). So some believe in him and some do not but they are all part of the same nation. This further illustrates our point and that these hadiths cannot be taken in isolation. This is how most speakers make their point about this hadith. Majority in these hadiths means the majority of Muslims, which adhere to the testification of Islam; there is no deity except Allah and Muhammad is the final messenger. The reason why majority in the first hadith does not refer to all Muslims is that people are mostly astray, as reported in the Quran. The scholars of the classical period are not included. But here the majority means people because there are Muslims who are not part of the four madhabs. So all of them are the majority in terms of number but this is different when it refers to scholarship. Majority when it refers to knowledge means the scholars of the Ahl Al-Sunnah. In addition, there are more than seventy sects in Islam. So this hadith is about the major groups of humanity being sourced from 73 sects. The Jews is the severity first and Christianity is the seventy second then Islam is the seventy third group. The other all the sects are different religions of mankind. So the only one that is saved is Islam and this after the message is received, not before. This includes many groups as long as they do not believe in something that contradicts this initial belief. Like belief in another Prophet or more than one deity and so on. Note the word majority is in some narrations but most are about what was believed by the Messenger of Allah (may Allah bestow peace and blessings upon him) and his companions. Though, please note some speakers say the saved group is Ahl Al-Sunnah. But the problem with this there is still some Muslims who are excluded when they should be included. Are you ready for this? Hold onto your toppess and Hijabs! Here are some points that you need to be aware of that are signs that you have beware of. 1. Disrespect of Allah, His Messenger (may Allah bestow peace and blessings be upon him), any of his companions, ahl Al-Bayt, or blatant disrespect for religious symbols. 2. Takfir especially on entire other groups, getting up and declaring other groups disbelievers. Especially on matters that have classical disagreement. 3. Only accepting opinions from their regions scholars or their path etc. 4. Not following classical knowledge, 4 madhabs or 2 in belief. 6. Over respect of one scholar to the extent no other scholars opinion is accepted. 7. A sole opinion on one matter - their opinion. Or repeating the same things again and again. That is quite a lot for you to digest. If they do this continually then they are definitely outside and if they do it every now and then. Then they are outside when they do it inside when they do not. Also take the point that the person must accept everything that the Prophet (may Allah bestow peace and blessings be upon him) came with. So the seven points only apply to those who are accepted as Muslims. Those who believe in another Prophet or that Ali was prophet etc are already excluded. The problem of this time is that most groups claim they alone are Ahl Al-Sunnah and no one else. The problem with this is that it makes them a sect. They should instead say that they are part of Ahl Al-Sunnah wa Jammah. Following classical opinions is the way forward and not take our whims masters. If a group claims to be from Ahl Al-Sunnah wa Jammah then examine what they say and refer to the classical works of belief written centuries ago. Then you will find some groups have no right to use this term when their opinions are against the majority. Or they have left madhabs and follow the whims and vices of the time. Take time to study the oldest works of Islamic belief, basically anything written before 1800. Then you will shocked at the lack of depth of the famous speakers. Some openly oppose Quranic verses and hadith or agreed matters/ijma, yet have large followings? One scholar alone is not Ahl Al-Sunnah and whoever thinks that is in a sect, with the exception if he alone agrees with the majority opinion but is opposed by many. In which he deems his 'personality' to be king and this is also misguidance. We follow what agrees to the Quran and Sunnah, which is the four madhabs with their groups in belief. Yet, even though a person is not following one the four madhabs, he is still a Muslim but risks nullifying his works. So next time someone uses this term make a note about what they say and speak to others you trust and you might be shocked. Please see following articles on following a madhab. Labels: Articles 2017, Who and what is the Ahl Al-Sunnah wa Al-Jammah?